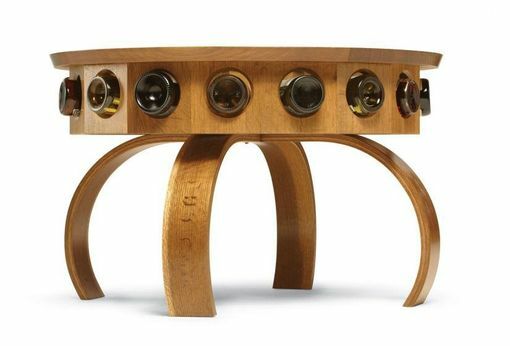 The Don Vino wine table is an original design, inspired by the oak barrels that line the cellars of the Finger Lake's regional wineries. 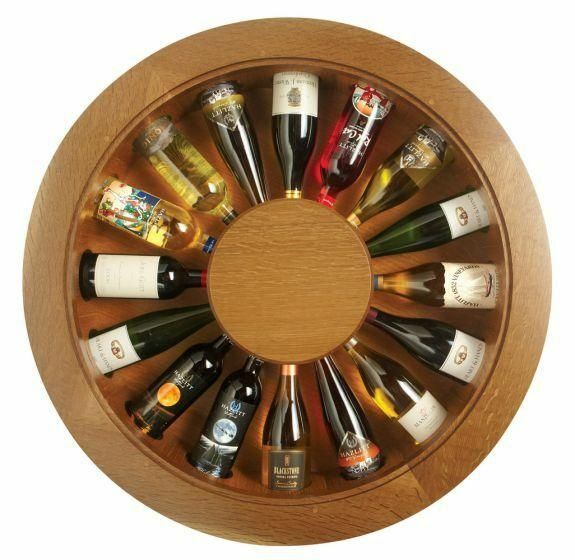 It not only offers contemporary styling but also a tasteful showcase for your wine collection. The wine table pictured here stands 21 inches tall with a 33 ¼" diameter and can hold up to 16 bottles of your favorite wine, showcased beneath a glass top. Don Vino is available with hand bent "barrel" legs, shown here in fumed oak. We offer a range of American Hardwoods including oak, cherry, maple, and walnut. Exotic hardwoods are also available (standard pricing may vary depending on wood selection). 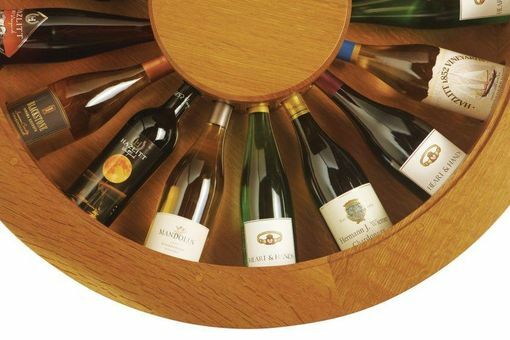 Please note— wine not included.